You have probably been hearing something about this new platform, and are here to check out if the College Power scam is real or not. This is the right thing to do, especially with the amount of scams going around on the internet these days. You really can’t be too careful. Seemingly harmless stuff can find their way into your wallet your purse easily, if the intention is there. College Power is still in the beta testing stage, so I believe it hasn’t been easy to find any real user feedback on it yet. But I have been privy to some information that I’m sure you would be interested in, that the owners of College Power are not quite ready to disclose to anyone. So sit tight as I present my findings in this honest, unbiased and in-depth College Power review. Scam / Legit? : Highly suspicious at this stage, but I can’t confirm it’s a scam until it is rolled out officially. 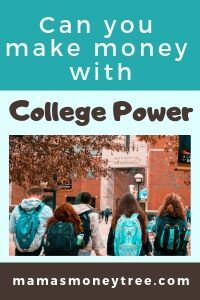 College Power seems like an innocent social platform that also allows college students to make some money through their interactions on it. But I have reason to believe it is connected to Empowr, which is a scam that has gone by various names, including FanBox. Even though I can’t confirm this new platform is a scam, until it is launched in August 2019, it has an uncanny resemblance to Empowr, so my advice to you is to steer clear of it. Read on for the detailed review of College Power, and why I do not recommend it. College Power promotes itself with a tagline that sounds noble, “save the world, get paid on your schedule, use your power”. Though I can’t really make any sense of it, in relation to what the platform does. There’s more: “College students shouldn’t trade their time for pointless or boring jobs”. What? Does it mean that College Power is able to earn them a full-time income when they start using it? Something that can replace a job? Sounds like financial freedom? Just through this social platform? 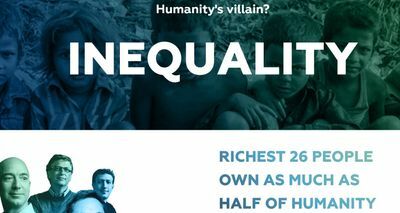 This platform can significantly reduce global warming and inequality. 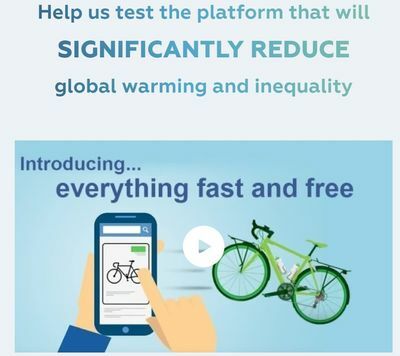 In the video, they explain how by sharing stuff that you do not need, you can reduce resources used, and reduce poverty. But wait, isn’t this platform supposed to make you rich? Now you have to help reduce poverty? By sharing your resources? Aren’t they contradictory arguments? How does it even make sense? Anyway it’s simply a marketplace they have on the platform, no different (but yet different in some ways which I will explain later) from the marketplace you have on certain FaceBook groups, or eBay, Amazon, and the likes. And yet they can make it sound so noble. 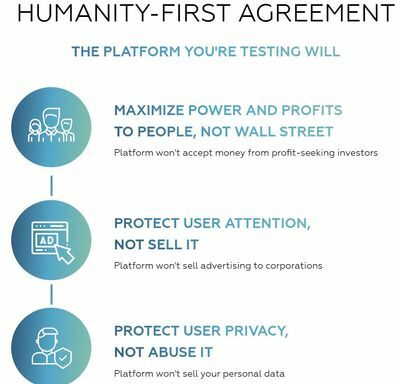 If they do not earn from investors, from advertising companies, or by selling your data, how are they going to sustain the business of running this platform? They are not a non-profit or charity organisation. Everything has to make economic sense. This is a huge red flag, waving at us, telling us to probe deep into where all their funding and profits are going to come from. The plot continues, targeting at the calling of college students to make a difference in the world. But frankly, when you take a look at the platform, it is for social interaction, very much like FaceBook, Instagram, Twitter, etc. and nothing to do with saving the world at all. I hope this brings you to the awareness that there may be some sort of misleading representation and propaganda involved. Now, I want to show you why I am highly suspicious of this new platform. I’m not sure whether you will still get to see these when you try to access the platform, but I stumbled upon it as I believe it is still in the construction phase, and somehow some of the links or those pages have not been done up properly yet. Anyway the proof is here. This page is where I landed via one of the links on College Power’s landing page, when it was supposed to bring me to more details about College Power. Right below on the left, you see “FanBox”. That was one of the names the scam by the very same owners took on, before it morphed into the current Empowr. This shows an obvious connection between College Power and Empowr, which does not bode well. Reading the FAQ section of College Power, there is an uncanny resemblance to how Empowr is run. Lots of red flags in there that I will go through right now, and lots of unspoken stuff that you probably won’t think too much about, that I am going to highlight to you their explicit meaning. Let me very briefly explain how Empowr works. It is said to be a social economy. So it runs like how the popular social media platforms run: post content, and others may “Like” it. The twist here: there is monetary value placed on your social interactions. When you post content, you supposedly get paid based on the number of likes. What they do not tell you: you have to pay Ads credits to post your content. And they actually take your money sneakily through your PayPal or credit card account that you link to Empowr for the purpose of getting paid by them. Many Empowr citizens (that’s what they call their users) were appalled to see the charges to their credit card or PayPal accounts. They were not notified of the deductions at all. As for earnings from the “Likes”, there is no transparency, no one knows how much each “Like” is worth. And you get paid through Empowr coins, which take 90 days to mature. But when they take money from you, it does not wait 90 days. And when citizens try to cash out, many are faced with unending obstacles and frustrations. This is the gist of how Empowr works, with more details that I will not cover here. You can read my review on Empowr if you want. This section of the social platform allows people to buy and sell stuff. Empowr will take a certain percentage of the sales, which is reasonable since you are doing it through their platform, so they should take a fee for it. The issue is, they wash their hands off any responsibilities when it comes to disputes between buyer and seller, which is unacceptable. All the giant buying and selling platforms always have some user protection policy in place, including eBay, Amazon, etc. so people are assured it is a safe place for transactions. On Empowr marketplace, if you pay for a product but do not receive it, or if you sent off the item you are selling and the other party defaulted on the payment, do not expect Empowr to step in and put things right. It is stated clearly in their terms of service, to this effect. 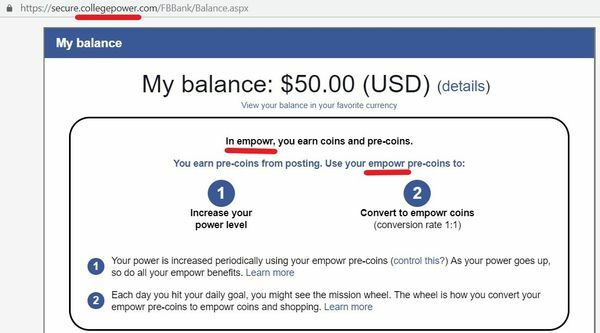 It is so bad, there is even an Empowr Scam Alert community on FaceBook. But it has managed to still stay on the right side of the law, because it is smart to still let enough users cash out their money and keep them happy, such that you can find positive reviews too. See the small print right at the bottom, where it says earnings must mature before cash out. But why?? Why do they want to hold on to earnings that you have legitimately made? I’m sure college students will have very good uses for their earnings, to pay for rent, or buy textbooks, or just as lunch money. 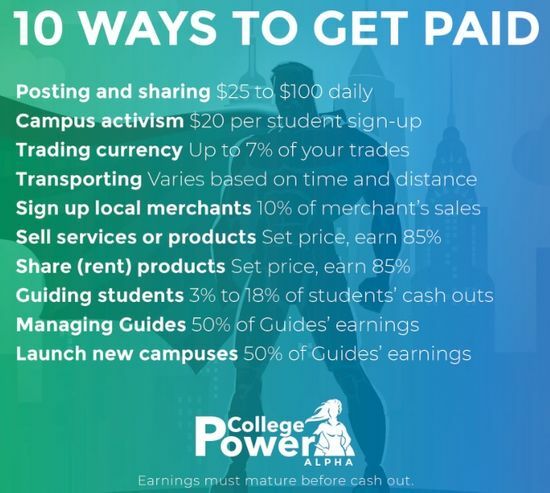 “Trading currency”, the 3rd point, comes about because your earnings will come in the form of College Power coins, whatever name they are going to give it. So if it works like Empowr, you are going to pay them real world money in order to post your content, but earnings come in the form of coins, or the likes of Monopoly money. If they make the cashing out process so difficult, how is this even fair or beneficial to the users? To me it is simply exploitative. “Sell services or products” where you set the price and earn 85% sounds like a lot, it actually means you have to pay 15% of the sales price to College Power, as a fee for using their platform to sell things. The same goes for “Share (rent) products”. Even though everything on the surface here looks nice and good, you can see the entire operation actually runs parallel to that in Empowr, they are basically the same system. Made to work for the owners of the platform, not for its users. Of course I am in no position right now to call College Power a scam, as it has not even launched yet. Maybe (hopefully) it will be different from Empowr, which I seriously doubt, unless a leopard can change its spots. Or maybe the owners would see this post of mine and try to prove me wrong, and that would turn out to be a great thing for everyone. Forget College Power. Even if it turns out to be a legitimate and transparent platform, you cannot expect to be making much from such get-paid-to sites, no matter how awesome and honest they are. 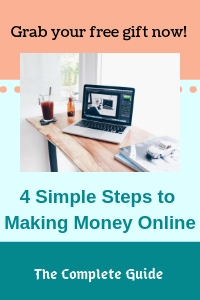 If you want to make some serious money online, in your spare time, the best way to do it is through affiliate marketing, where you simply promote other people’s product, without having to create or own any product, or deal with storage or inventory. When people buy those products through your affiliate links, you get to earn a commission. It is a simple model, yet very lucrative, especially nowadays when everyone is bringing their shopping online. The transactions still take place between the customers and the retailers directly. So you do not have to handle deliveries, customer complaints or refunds. You do not even have to do any face to face selling, or make any cold calls. 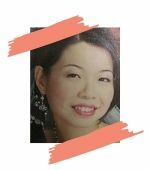 If this sounds good to you, I want to take it further and show you my free traffic method that I am using, to get potential customers to come looking for me, I do not have to spend a single cent on advertising, or go on any social media platforms or anywhere else to look for customers. We cannot know for sure how exactly this platform is going to run, until people start to use it, and try to cash out. Even then, in the beta testing stage, I suspect cash outs will be a breeze, in order to get many more signups. But unless it runs on a drastically different model from Empowr, I cannot find any benefit to such a platform, as it is fundamentally wrong in values, in my opinion, to assign monetary benefits to a social platform. As you can see how closely connected it is to Empowr, I just have a bad feeling about it, that it is going to be run the same way. The purpose of college students joining this platform is to make a little extra pocket money. If they have to wait 3 whole months for their earnings to mature, then I do not see much point here. A social platform should never be run like an economy, pay to share content, get paid when people like your content, etc. Human interaction cannot have a price tag to it. Can you imagine how this world will be like if we get paid to smile at people? Is College Power Scam or legit? My personal take on this: College Power scam is brewing. Which direction it will take eventually, your guess is as good as mine. But I’d still bet they go the same way as Empowr. We shall see. I do not recommend College Power, due to its connection with Empowr and FanBox. Even if it works out well, the earnings will not be huge, so you will not lose much. If you can spare some time, why not use it to build up your very own online business instead? The affiliate marketing model allows you to work fully from home, or anywhere for that matter. And you are not working for anyone, you do not have a boss to report to. You are answerable to only yourself. You decide on the niche, something that you are passionate about. Then you promote great products in your niche. When people buy through your affiliate links, you make a commission. Countless successful affiliate marketers are making more than a full time income from this method, many are even making 5 or 6 figure months. The potential is huge because of how the world is going online. To shop, to do their research before they actually buy stuff. If you can present yourself to people who are at the final leg of the research cycle, they are actually people with very strong buyer intent. So with a bit of a nudge, they will finally make the purchase, and you get a piece of the pie. If you have any concerns or questions regarding this College Power review, do comment below, and we will start a conversation from there.